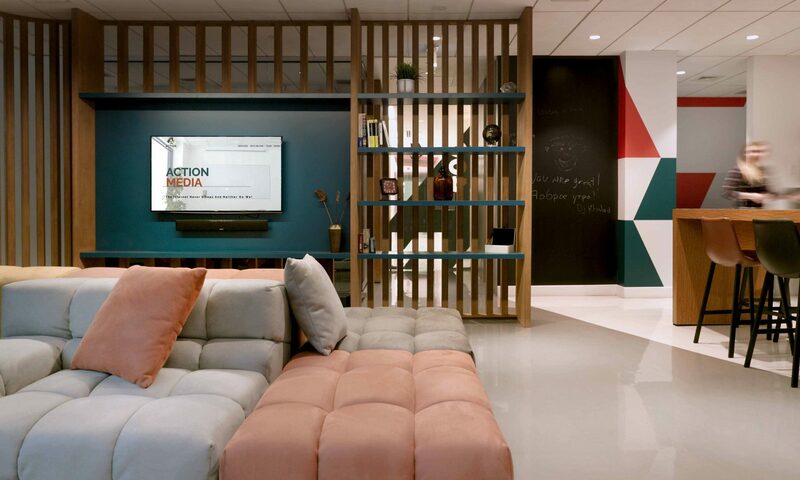 The company office had been fitted out recently, but Action Media found that the space did not suit their corporate culture and the team did not recognize themselves in it. They wished for a warmer space to welcome everyone but needed a little help to determine where to begin. 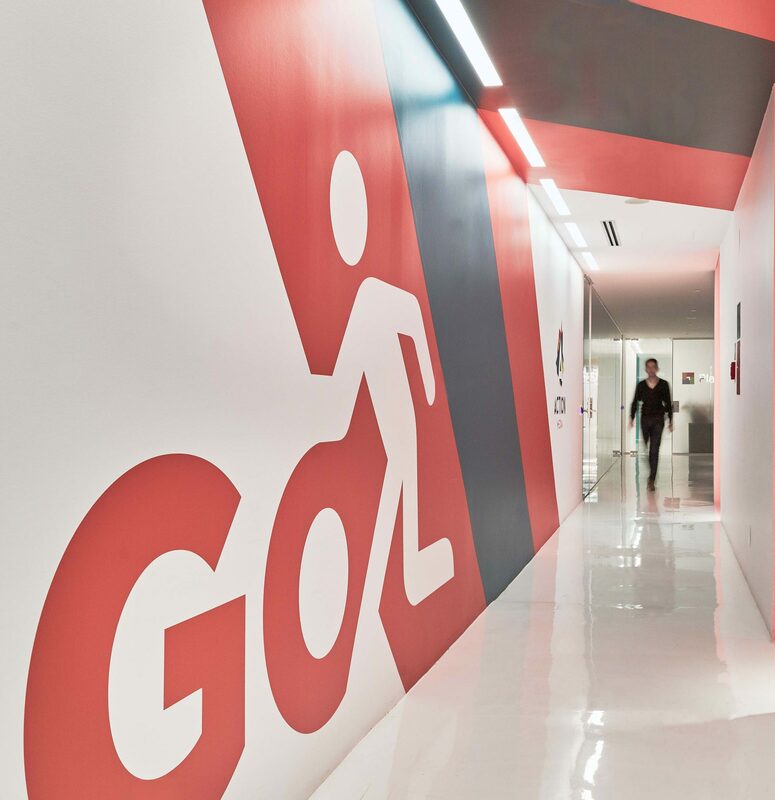 It was absolutely necessary to solve the reception area which left a strange impression on arrival in the space. It was also required to create a more significant central space for the team, to hold their weekly social gatherings. 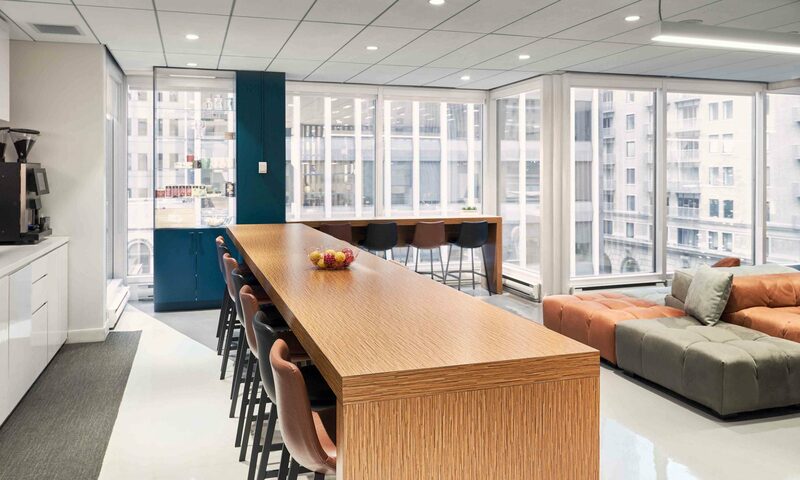 The configuration of the space needed to allow 20 people to have lunch (and not look like a traditional cafeteria) and be simple to use in their social meetings. 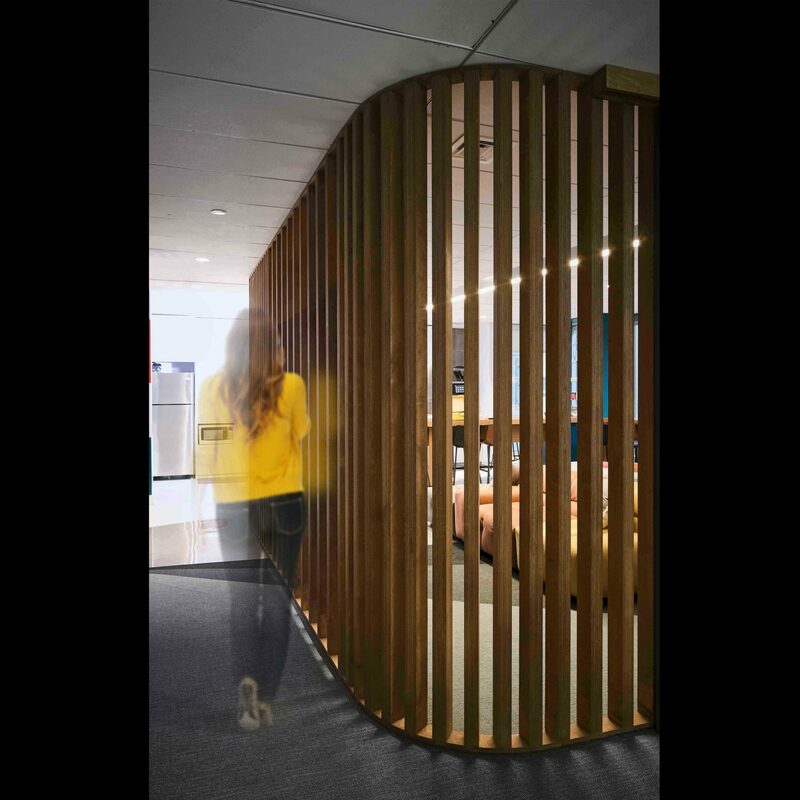 A bright entrance was created, by using wooden grid separator, defining at the same time, a lounge zone for the casual meetings. 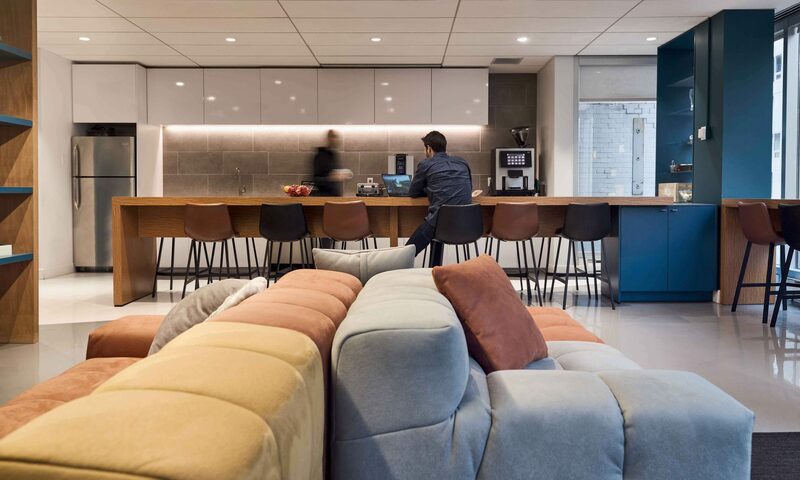 This action allowed to make a psychological separation between workspaces and common spaces. A big counter was installed to create the lunch area, keeping the space airy. As a result, social activities won in popularity and in length, because the place calls for conversations.